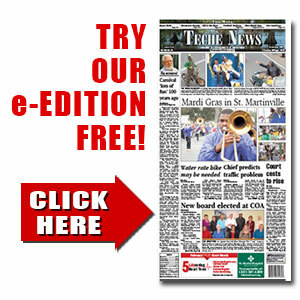 Ada Nell Long | TecheToday.com | Teche News | St. Martinville, La. Arnaudville – Ada Nell Long, 74, passed away on Tuesday, November 7, 2017, at Opelousas General Hospital. Ada enjoyed spending time with her grandchildren and attending church. She was a loving mother, grandmother, and great-grandmother. At all gatherings, she loved to help cook, using old family recipes that warmed the heart and soul and created new memories. She is survived by her loving daughters, Mechelle Carino and husband Edward of Arnaudville, and Sylvia Taylor and husband Kip of Arnaudville; her grandchildren, Edward Smith, Samantha Smith and spouse Drake Bourque, Starla Powell and spouse Gerald and Christian Taylor; and her great-grandchildren, Haven Bourque and Hudson Bourque. She was preceded in death by her parents, Brooks and Bessie Powell Bailey; and several brothers and sisters. Pellerin Funeral Home is in charge of arrangements. To view on-line obituary and sign guestbook, go to www.pellerinfuneralhome.com.